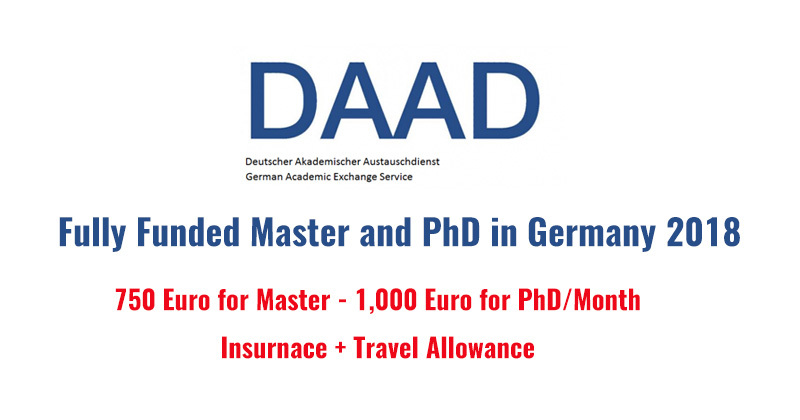 DAAD or The German Academic Exchange Service is the largest German support organisation in the field of international academic co-operation. It give young foreign academic the opportunity to pursue research or study in Germany. Please find out more here. A monthly allowance of euros 750 for graduates, and euros 1,000 for doctoral candidates. Master of Arts/Master of Science degree or Bachelor of Art. To be eligible, applicants should have graduated no longer than six years before the application deadline. Have a remarkable English language proficiency. Copy of school-leaving certificate which entitles holders to study at a university in the home country.